Eve Burton is a Senior Vice President and the Chief Legal Officer of Hearst, one of the nation’s largest diversified media, information and services companies with more than 360 global businesses. Hearst’s major interests span business information companies that create and deliver content, analytics and workflow solutions for the finance, healthcare and transportation industries worldwide as well as cable entertainment and syndication, interactive and emerging digital media, local broadcast television, magazines, newspapers and real estate. Burton is a member of the Hearst Board of Directors. She has overall responsibility for legal services to all of Hearst’s businesses around the world. She also manages corporate human resource issues, labor relations and government affairs. Burton has been one of Hearst’s leaders in establishing worldwide strategic enterprise deals with partners. Additionally, she is a member of Hearst’s Venture Committee which funds digital initiatives and is a founder and chairwoman of HearstLab, which fosters innovation and investment in early stage businesses led by women. Burton sits on the board of directors of Intuit, Inc., and prior to that was on the board of directors of AOL board until its recent sale to Verizon. She is a member of the advisory board of the David and Helen Gurley Brown Institute for Media Innovation at Stanford and Columbia Universities. Burton has a JD from Columbia University and was a Fulbright Scholar in Asia. Adrianna Cantu is the co-founder and CEO of Revealix, a digital health company developing imaging software to revolutionize how diabetic limb and other skin complications are monitored and prevented. Adrianna is an experienced industry healthcare executive, board certified in wound care. Through Revealix, Adrianna aims to solve the inherent problem of subjectivity and inefficiencies in routine assessment of skin health - an issue she recognized was a barrier to operationalizing and scaling clinical best practices in healthcare. This problem of subjectivity is particularly problematic in the care of non-Caucasian patient populations where subtle visual cues may easily be missed. Adrianna’s passion for her industry fuels Revealix’s mission of Simply Saving Limbs. Prior to Revealix, Adrianna was an early member of a fast-growth medical startup, American Medical Technologies (AMT). Her resourcefulness, creativity and vision of what ‘could be’ led her to create an operational infrastructure and a talent development system to drive positive clinical outcomes and rapid organizational growth. Adrianna’s leadership throughout her tenure accelerated her ascent within the company to Vice President of Clinical Operations. At the time of her departure, Adrianna led a team of 200 clinicians in a $100M operation. Mette Dyhrberg is a digital health innovator improving the quality of life for those with chronic disease. She is the founder and CEO of Mymee, a digital therapeutics program rethinking autoimmunity. The Mymee protocol detects triggers to reverse the symptoms of autoimmune disease using data analytics and telehealth coaching. Mette speaks regularly for organizations including The Institute for Functional Medicine, Stanford Medicine X and Exponential Medicine, on how we can reinvent health care for autoimmune diseases. 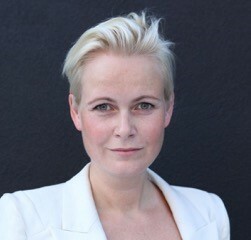 Mette holds MSc in Economics and is a certified health coach. An economist turned diagnostician, she’s the Sherlock Holmes of anamnestic data. She first entered the functional medicine arena in an attempt to tackle her own chronic health issues. In her early twenties, she became severely ill, going from earning top grades to being unable to read a book, from working as a model to being overweight and heavily medicated. For years, Mette battled an ever-expanding array of medical diagnoses ending up with six different autoimmune diseases. Mette took matters into her own hands, hacked her own health and soon began helping others do the same: drawing on ideas and methods from Lean, systems thinking, and software engineering, Mymee is built to support iterative health improvement for the individual. Jodi Hubler is the Managing Director of Lemhi Ventures, a health care services venture capital fund with $385M under management, where she leads an seasoned team through all phases of the investment life cycle. Over her 20-plus-year career, she has held executive positions in a variety of public and private companies, including a lead role in global human resource re-engineering efforts for Cargill; driving systems to instill lean manufacturing and process change for a $2B division of Alcoa; and start-up experience with venture-backed Definity Health, where she served as chief people officer. She is especially adept at leading and governing in industries facing transformative change. Her experience across global organizations and multi-industry domains, coupled with her deep health care industry experience, make her uniquely qualified to provide insightful advice to boards and executive teams committed to creating significant value for stakeholders. She is widely recognized for her keen insight, direct approach, and skillful stewardship of organizations from incubated start-ups to multi-billion-dollar corporations. Jodi currently serves on the boards of Lemhi Ventures portfolio companies Bind On-Demand Health Insurance (prior Chair), Digital Reasoning and PlanSource, and serves as Chair of Recondo Technology. She also serves on the non-profit boards of Medical Alley Association and as Vice Chair of CaringBridge and privately held boards of Central Logic and DHIT Global. Jodi previously served on the boards of Lemhi Ventures portfolio companies Carol (acquired by OptumHealth), DNADirect (acquired by Medco), Destination Rx (acquired by Connecture), Liazon (acquired by Wills Towers Watson), OneHealth Solutions ((Chair) acquired by Viverae), PokitDok (acquired by Change Healthcare), RetraceHealth (Chair) and ShareableInk (acquired by Digital Reasoning). She is a frequent and seasoned speaker and conference panelist. Jodi is a member of the Healthcare Executives Leadership Network and Women Business Leaders Foundation. She is a graduate of the University of Iowa Tippie College of Business, with a B.A. in Administration and a M.A. in Industrial Relations. In her book, Surfacing: From the Depths of Self-Doubt to Winning Big and Living Fearlessly, Siri offers a candid account of her journey to personal growth, self-belief, and self-discovery. On stage, she illustrates why it's never too late to live the life you always dreamed, and shares emboldening strategies for realizing your ultimate potential, conquering self-doubt, and changing the thoughts, habits, and behaviors that keep you from taking your life and career to the next level. Allison Martin is the CEO and Founder of UDoTest Inc and UDoTest South Africa. UDoTest is an in-the-home delivery platform, designed to activate a consumer screening experience in the home. Allison also served as one of two fellows at the America’s Health Insurance Plans (AHIP) Innovation Lab in Washington DC. She also has a non-profit, Healthcare for the future, focused on improving rural access to healthcare. Prior to UDoTest, she was the CEO of a successful mobile application development company and a country director for a Shanghai-based telecommunication company for Africa. Prior to China, she was headhunted by a NASDAQ listed company, Telegent Systems, where she was responsible for leading business development and was a global spokesperson for Africa. Allison has been on news channels, clinical cable TV networks, popular morning shows and radio shows talking about rural care, access, and UDoTest’s important platform and service. As an award-winning anchor and correspondent for CNN and ABC News, Jeanne Meserve covered politics, national security, and international affairs. She reported on Hurricane Katrina and anchored CNN’s coverage of the death of Princess Diana. Now Director of Training at The Communication Center, she coaches corporate leaders, government officials, and representatives of educational institutions and non-profit organizations to effectively communicate their message and mission. Meserve also serves on the Transatlantic Commission on Election Integrity and the Aspen Institute Homeland Security Group, and moderates for organizations all over the world. Follow her on Twitter @JeanneMeserve, and visit www.jeannemeserve.com. Lynn Shapiro Snyder is a Board Member and Senior Member of Epstein Becker Green in Washington, D.C., a law firm with one of the largest health care and life sciences practices in the country. There, she advises all types of health care companies and companies such as private equity firms that work with health care. She is well- known for her expertise in FDA, Medicare, Medicaid and managed care issues whether it is in connection with the launch of a new product or defending a company under a fraud investigation. She has been at Epstein Becker Green for over 35 years. Additionally, Lynn is the Founder, Chairperson and President of the Women Business Leaders of the U.S. Health Care Industry Foundation ("WBL"), a non-profit that connects and convenes senior executive women from all across the health care industry. WBL’s focus is on helping these women expand their leadership, such as by serving on a board of directors, and the organization has helped to propel hundreds of women to board directorships. Named a “Director to Watch,” Lynn is a leader in the governance arena and is the co-author of Answering the Call: Understanding the Duties, Risks & Rewards of Corporate Governance – a book to educate busy executives about board service. She also is the author of Advancing Women in Business – 10 Best Practices. Her current board memberships include Trustmark Companies, Epstein Becker Green, Savor Health and the Maryland/Israel Development Center. 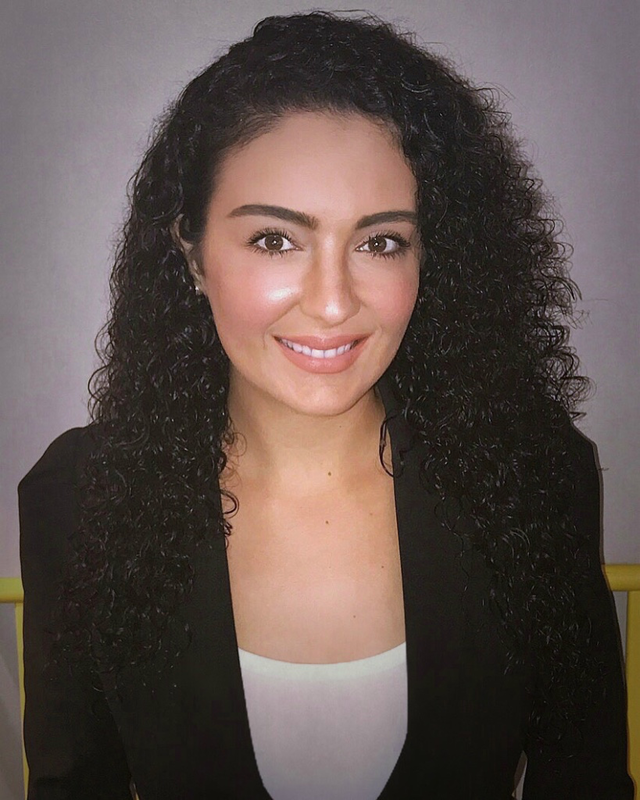 Hanadie Yousef is a trained stem cell biologist and neurobiologist with a focus on the mechanisms of aging, with pending and issued patents and several publications on methods for tissue rejuvenation. Dr. Yousef earned a BS from Carnegie Mellon University, a PhD from UC Berkeley, a 5-year postdoctoral fellowship at Stanford School of Medicine and has worked in R&D at Regeneron and Genentech. In 2017 she co-founded Juvena Therapeutics, Inc., a Silicon Valley, venture-backed regenerative medicine startup that is developing new medicines to promote tissue regeneration and increase healthspan in the elderly. Christine Candio was appointed president and chief executive officer of St. Luke’s Hospital, St. Louis, Mo. in January 2015. Prior to joining St. Luke’s, she served for six years as CEO of Inova Alexandria Hospital in northern Virginia and as senior vice president of Inova Health System. Ms. Candio began her career as a nurse, progressed through nursing leadership ranks at several hospitals and gained extensive healthcare operations and senior executive leadership experience in both acute care and outpatient settings during the past three decades. She holds a Bachelor of Science degree in nursing from William Paterson University of New Jersey and a Master of Public Administration degree with a focus in healthcare management from Fairleigh Dickinson University. As a Fellow of the American College of Healthcare Executives, she is board-certified in healthcare management and is a Past Chairman of the American College of Healthcare Executives, which is an international professional society of more than 40,000 healthcare executives who lead hospitals, healthcare systems and other healthcare organizations. She has served on the boards of many other professional and community organizations and has been a guest speaker at numerous healthcare conferences throughout the country. Currently, she is an adjunct faculty member of the Georgetown University Graduate Mentorship Program, an advisory board member of the George Washington University MHA Program, Washington, D.C., and a member of the Missouri Hospital Association Board of Trustees. Rosemarie Day has over 25 years of experience in the public, private and non-profit sectors, including 16 years of leadership experience in state government. Most notably, Rosemarie served as the founding Deputy Director & COO of the Massachusetts Health Connector where she played a significant role in launching the award-winning organization that established the nation’s first state-run health insurance exchange. In 2010, Rosemarie founded Day Health Strategies to focus on implementing national health reform. Her company now serves organizations across the country that want to transform their approach to offering or delivering health care. She also holds a faculty appointment at Northeastern's D'Amore-McKim School of Business. Previously, Rosemarie was Chief of Staff to the Dean of Harvard Kennedy School. She also served as COO for the Massachusetts Medicaid program, and has held several senior level fiscal positions. She holds an MPP from Harvard’s Kennedy School and an AB from Stanford University. Sheila Frame, Vice President & Head Sandoz Biopharmaceuticals, North America, is responsible for the development and commercialization of the biosimilar medicines portfolio in the US and Canada. Sheila has more than 20 years of pharmaceutical experience and serves as a member of the Sandoz US Executive Committee. A seasoned industry leader, Sheila has developed a knack for both long-term visionary business strategy as well as short-term operational expertise in the specialty businesses of immunology, immuno-oncology, and epilepsy. Prior to joining Sandoz, Ms. Frame held the role of Worldwide General Manager for the Immunoscience business at Bristol Myers Squibb (BMS), a role which encompasses responsibility for the commercialization of Orencia® for the treatment of RA with worldwide sales of over $2 billion USD, as well as the commercial development of BMS’s important pipeline assets in the therapeutic area. She has also held several important worldwide commercial roles, encompassing the oncology launches of Yervoy® and the PDL1 diagnostic to support Opdivo®, and the commercial launch readiness for Opdivo® in GBM, HCC, Gastric cancers and CRC. She also has successful international operational experiences, leading Specialty Business Units in Canada (BMS - Virology, Immunology and Oncology, AZ - Primary Care and Market Access), the US (UCB - Epilepsy and Parkinson’s and AZ - Symbicort®) and the Nordics (UCB - CNS and general management). It is through all these experience, where she developed a reputation for her strategic thinking and operational excellence as well as her passion for developing and mentoring people across her broad business network. Prior to joining the pharmaceutical industry, Ms. Frame worked as a professional lobbyist for the Canadian Freight Railway company, CN Rail. She began her professional career holding senior positions with the Government of Canada as a legislative assistant where she took 17 bills through the House of Commons and Senate. Ms. Frame holds a Bachelor of Arts degree (B.A.) and Masters of Business Administration (M.B.A.). She also completed the requirements for the Chartered Corporate Director, C. Dir., program in 2006 through The Director’s College. Between 2013 and 2015, Ms. Frame held an appointment as a member of the Board of Governors of the University of Ottawa where she was also a member of the Pension investment committee. She is currently a member of the Board of Directors of the Cameron Institute, an important, not for profit, public policy think tank specializing in the independent study of health, social and economic issues. Fran Gary is the president of the East Region Medicaid Organization within the Government Business Division of Anthem Inc. Ms. Gary is primarily responsible for leading the fiscal, operational management, legislative and regulatory objectives for this region. Additionally, she oversees planning, strategy and performance execution for the Medicaid health plans and alliance collaborations within Anthem, Inc.’s Medicaid East Region. Previously, Ms. Gary served as senior vice president of Federal Government Solutions (FGS) at Anthem, Inc., leading a federal business group comprised of National Government Services (NGS) and WellPoint Military Care, both subsidiaries of Anthem, Inc., as well as the Blue Cross Blue Shield Federal Employee Program®. In this role, she led a federal business group comprised of federal health contracts that provide medical claims processing for nearly 25 million Medicare beneficiaries, and she led the Federal Employee Program business unit, which serves over 1.5 million federal civilian employees, retirees and their dependents in 14 states. Ms. Gary is an experienced health care executive with over 23 years of leadership and industry experience in Medicaid, Medicare, and commercial products and operations. Prior to her roles within Anthem Medicaid and FGS, Ms. Gary was served as chief operating officer and then president of Amerigroup Georgia, a wholly owned subsidiary of Anthem, Inc. Prior to joining Amerigroup, she served as vice president of national contracting and provider network management with Health Net and held other positions in the health care industry focused in the areas of market operations, network contracting and development, provider operations, medical and quality management, marketing, and financial operations. Ms. Gary has been recognized as one of 20 “Women Who Mean Business” by the Atlanta Business Chronicle, YWCA Women of Achievement award recipient and Boys and Girls Club Year of the G.I.R.L recipient. With a passion for community service, Ms. Gary has served or serves on the Boards of Goodwill of North Georgia, Community Foundation Advisory Board, Girl Scouts of Greater Atlanta, Boys and Girls Club of Metro Atlanta, Action Ministries and The Children’s School. Ms. Gary is a graduate of the United States Naval Academy and holds an MBA from Brenau University. Julie Hansen is an author, performer and executive sales coach. The Founder of Performance Sales and Training, Julie helps sales leaders leverage the power of the performing arts and science to captivate and motivate audiences – both inside and outside of their organizations. Julie is the author of Sales Presentations for Dummies and ACT Like a Sales Pro! : How to Command the Business Stage and Dramatically Increase Your Sales with Proven Acting Techniques. Julie was recognized as one of the “35 Most Influential Women in Sales” by SalesHacker in 2018 and a “Top 50 Sales Blogger” by Top Sales World from 2013-2018. Her articles have appeared in Entrepreneur Magazine, Selling Power and many business journals around the world. In 2018 Julie launched the “Executive Presence for Women in Sales Program” in partnership with Women Sales Pros, a nonprofit group of B2B women sales leaders dedicated to supporting women in sales and empowering them to rise into leadership roles. Connect with Julie at Julie@ActingforSales.com or www.PerformanceSalesandTraining.com. Jessica Harthcock is the Chief Executive Officer and Co-founder of Utilize Health, a specialty care management solution that focuses on creating an improved healthcare experience for patients with neurological conditions while delivering quality-driven medical cost savings for key stakeholders. Utilize Health was born of personal experience after Ms. Harthcock was paralyzed at age 17 and spent years in search of the highly specialized rehabilitation that ultimately helped her learn to walk again. Astonished by how much of the burden of finding appropriate care her family had to shoulder on their own; Ms. Harthcock dedicated herself to creating a service that assists patients and caregivers in locating and gaining access to optimized care for a range of neurological conditions while reducing costs for individuals, families and payors. Ms. Harthcock received her Bachelor of Arts degree from Louisiana State University and her Master of Education degree with a focus in Leadership and Organizational Performance from Vanderbilt University. Prior to founding Utilize Health, Ms. Harthcock received numerous awards for development of neurological condition related programs and innovations, including recognition as a finalist for the Chicago Innovation Awards and induction into the National Spinal Cord Injury Association Hall of Fame. More recently, Ms. Harthcock received the 2017 Health Care Emerging Leader Award, the 40 Under 40 Award, the Women of Influence Award, and was named a 2017 Health Care Hero for her work at Utilize Health. Barbara Stinnett is CEO and Managing Partner of Timmaron Group, a company she founded in 2008. Barb works with companies of all sizes from startups to the Fortune 500 and has deep connections and experience in the investment community. Barb has built billion dollar high tech businesses for HP and Cisco and has a private equity background where she built, led and managed through exit two mid-cap software companies. She is a partner in SOFIA fund, an early stage fund focused on women led technology companies, and has served on several boards including SMILE Network, American Multiplexer Corporation, Sum Total Systems, Altus 365, and the Bill Norris Foundation, a technology fund for emerging technologies. Donato J. Tramuto is the CEO of Tivity Health, Inc (NASDAQ: TVTY), a leading provider of fitness and health improvement programs, including SilverSneakers®, that nation’s leading fitness program for older adults. A recognized innovator and industry leader, he has more than 35 years of healthcare experience, with a deep commitment to global healthcare access, a steadfast focus on patient outcomes and a keen understanding of digital solutions. Before joining Tivity Health, Tramuto founded Physicians Interactive Holdings (now Aptus Health), a global provider of digital engagement solutions for healthcare professionals and consumers. Tramuto has been widely recognized for his more than three-decade commitment to social change and healthcare innovation. In 2014, he was honored with the prestigious Robert F. Kennedy Ripple of Hope Award. Tramuto holds honorary doctorates from the University of Massachusetts at Lowell, Thomas Jefferson University and Lasell College. A member of board of Robert F. Kennedy Human Rights, Tramuto is chairman of its Leadership Council where he is leading a national initiative to address workplace dignity and inclusion. Tramuto is also chairman of the board of Robert F. Kennedy Center for Justice & Human Rights Europe. Tramuto is the author of “Life’s Bulldozer Moments: How Adversity Leads to Success in Life and Business,” a Hamilton Press publication. As Managing Director of Engagys, Kathleen brings the best of consumer marketing and data-driven methodologies to healthcare to motivate better health decisions. Prior to founding Engagys, Kathleen led the Consumer Engagement consulting practice for Silverlink for 12 years leveraging Silverlink's data repository of over a billion consumer health interactions, the best of behavioral economics and the latest in clinical research to help health care organizations close the last mile of consumer engagement. Kathleen is an award-winning, high energy, engagement expert with over twenty-five years of experience. She speaks regularly on the national stage on many topics including: driving consumer health engagement, creating better consumer experience in healthcare, motivating and inspiring consumers, and using data to drive consumer behavior. She has been recently named as a consultant to the first ever FDA Patient Engagement Advisory Committee (PEAC). On the side, for over 20 years, Kathleen has helped women executives craft their personal narratives to further their careers. She is currently authoring a book on adversity and inspiration. Carla Harris is Vice Chairman and Managing Director at Morgan Stanley, where she also serves as a senior client adviser. Previously, she headed the Emerging Manager Platform at Morgan Stanley, the equity capital markets effort for the consumer and retail industries. Ms. Harris has extensive industry experience in the technology, media, retail, telecommunications, transportation, industrial, and health care sectors. She served as a senior member of the equity syndicate desk and in the mergers and acquisitions department at Morgan Stanley. Ms. Harris was appointed by President Obama to chair the National Women’s Business Council. She is the author of the books Expect to Win and Strategize to Win. Ms. Harris holds an AB in economics from Harvard University and an MBA from Harvard Business School.